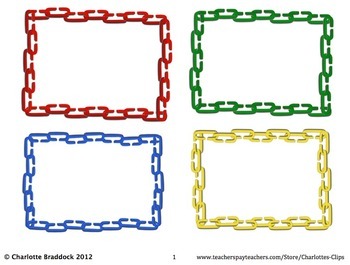 Check out these free linking chain labels. There are four small frames per page (red, yellow, blue, and green). This page is in a pdf format for easy printing. Also, great for flash cards, task cards, name cards and game cards.